The Bombay Lawyers Association has moved the Supreme Court seeking review and recall of its April 19 Judgment by which it had declined to order an independent probe into CBI Special Judge Brijgopal Harkishan Loya’s mysterious death. Seeking review of the judgement vide which the apex court had concluded that Judge Loya suffered a heart attack in presence of his colleagues, the Association says the court erred in relying on the statement of the District Judges who were not even cross-examined. They also said that the court erred in opining that the question raised over the statement of the four judicial officers amounted to casting aspersions on the members of judiciary. The Association has also contested the reliance on the enquiry report of Sanjay Barve, the Director General and Commissioner, State Intelligence Department, while casting doubts on its authenticity. “The only defence put forward on behalf of State of Maharashtra was the unaffirmed report of an enquiry held by a Police Officer, Commissioner of State Intelligence. This document was the sole basis of State’s stand before this Hon’ble Court and yet it was not placed along with an affidavit on behalf of the State. The enquiry, amongst others had relied extensively on the statements of the Hon’ble District Judges to bring home the point that late Judge Loya had indeed died of heart attack and that they were the witnesses to the same.This being the position, and the law as to pleadings having been completely put outside the window by the State of Maharashtra, the Petitioners were left with no alternative but to challenge the Report,” it said. It also submitted that “ultimate dismissal of the Writ Petition filed by the Petitioner Association is, with respect, manifestly wrong and subsistence of the judgment of this Hon’ble Court in so doing is injurious to the public interests and larger good. The impugned judgment has resulted in miscarriage of justice if not complete negation of justice on the facts of the case. It is therefore clearly required in the interests of justice that the judgment and order in question be reviewed and recalled”. The review petition said that the apex court ought not to have discarded the newspaper articles without ordering an independent enquiry to look into the same. “The hurried enquiry by a Police Officer, howsoever high in ranking, is clearly insufficient in the facts of the case. This Hon’ble Court, with respect, has committed error apparent on the face of the record and/ without sufficient reason discarded the Caravan articles overlooking the fact that the initiation of enquiry raised serious doubts about its independence and integrity. If the enquiry was being ordered by the State Government on 23 rd of November following publication of Article on 20th and 21st November, how was it that the Commissioner, State Intelligence wrote to the Hon’ble Bombay High Court stating the names of the four Judicial Officers and 2 High Court Judges for recording their say,” it said raising doubt over the enquiry report. It also says that the original petition was not about validity of the Inquest enquiry but about the unfortunate and sudden death of late Judge Loya. On the Supreme Court relying on the statements of the four judicial officers, the review petition says, “the judgment proceeds and relies virtually entirely on the statements of the Learned Judges…The Petitioner Association has never questioned the status and the respect commanded by those Learned Judges. But if they chose to give statements which State of Maharashtra heavily replied upon and which have influenced this Hon’ble Court in its decision making they ought to have been offered for cross examination”. “… the judgment needs to be recalled in as much as it proceeds on the premise that once statements of the Hon’ble Judges are recorded by the Commissioner Intelligence, the same must be accepted and cannot be questioned by anybody. It is respectfully submitted that questioning the veracity of the statements of the Hon’ble judges was an inevitable result from the fact that they chose to give the statements,” it says. It is to be noted that on April 19, the Supreme Court bench headed by Chief Justice Dipak Misra had dismissed the plea for independent probe into Judge Loya’s death while upholding the inquiry report which took into account the narration of events by the four judicial officers who are said to be with Judge Loya before his death. 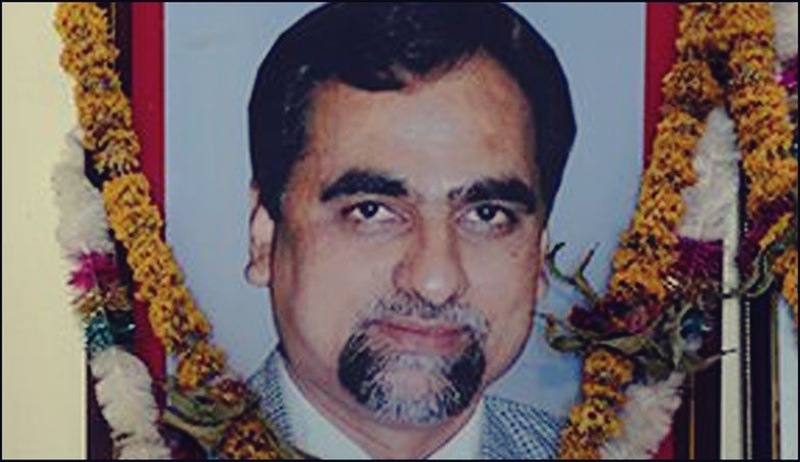 The court had concluded that Judge Loya died of natural causes.